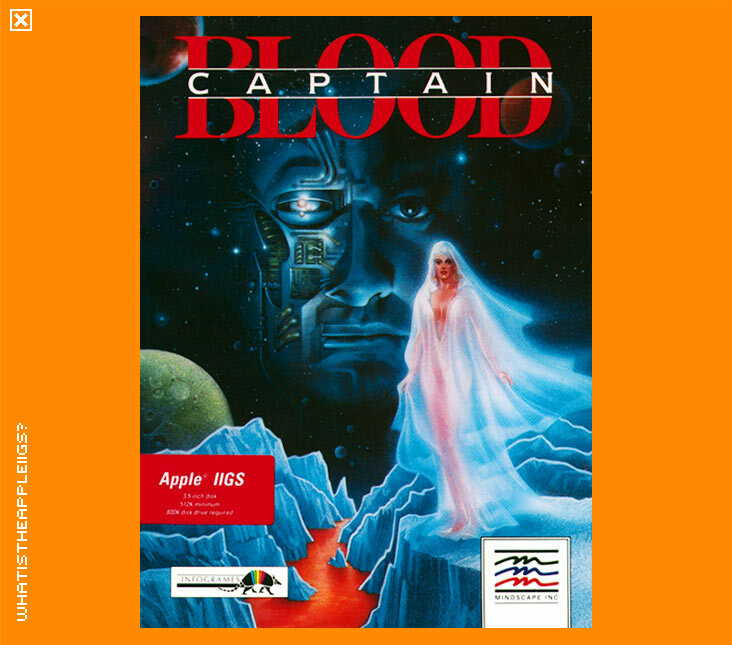 Captain Blood was definitely an improvement since Mindscape's below average conversions of Paper Boy and Gauntlet. Captain Blood is an adventure game, whereby you assume the mantle of the title character in a quest to discover six clones made from your very self. These clones threaten your existence by draining your life force: you've got to find them as soon as possible to restore balance. To find and destroy these clones, you'll have to traverse the universe via hyperspace and talk to any of the local inhabitants through a neat icon based way of communication, since they're not going to speak any Terrestrial language. The other beings in the game are the key to completing your quest and therefore they're not as shallow as they appear to be. Each has a different personality, not necessarily good or evil but sometimes mischievous or misleading. And they all want something in return for the information they share. Finding the right planets requires the disclosure of co-ordinates for said planets. And remember, the co-ordinates do not stay the same; each time you play a new game the universe and its planets and character positions are randomised. The entire game is mouse and icon driven. The interface is pretty intuitive, so you'll quickly learn how it works. But remember, if you find the button for blowing up the nearest planet without visiting it, start again! To visit a planet, you have to use a shuttle craft. Visiting planets usually activates the local missile defense system (this reminds me so much of the planet Magrathea in the Hitch Hikers Guide to the Galaxy), the distance of the missiles away from your vessel can be seen in a gauge located in the top middle of the screen. Speed of your shuttle is controlled by open apple (increase) and option (decrease). The IIGS version, by Alexis Martial, is pretty damn good, making good use of the IIGS and its capabilities such as the neat use of colour cycling and multiple palettes, in particular for the hyperspace effect. The game plays fast and smooth as a baby's bum. Oh yeah, and the intro music was written by electronic composer Jean Michael Jarre. NOTE: While you can install this to a hard drive, I've found that saving and loading games isn't very reliable (if it works at all, unfortunately, there's very little feedback when you open or save games). You can play without saving, but the game's difficult enough as it is, so saving can make this game less of a timewaster. Boot and play from the floppy for the BEST experience. Also, don't expect to save more than three games on the floppy - use different names for save games sparingly.